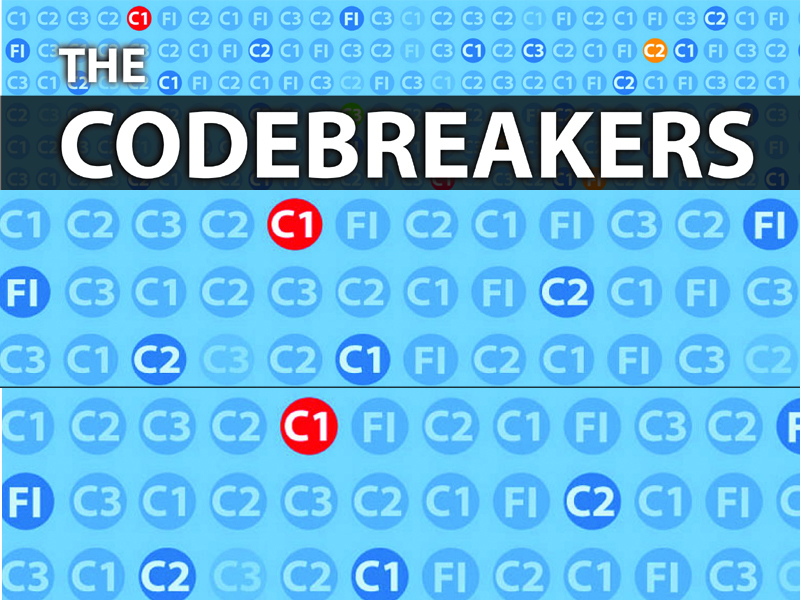 Need help with cracking those EICR codes? The technical team at NAPIT, with the help of the brand new 18th Edition Codebreakers publication, answers your coding queries. DARREN BLANCHARD: I’m a qualified electrician in London and went to a job today only to see this…! 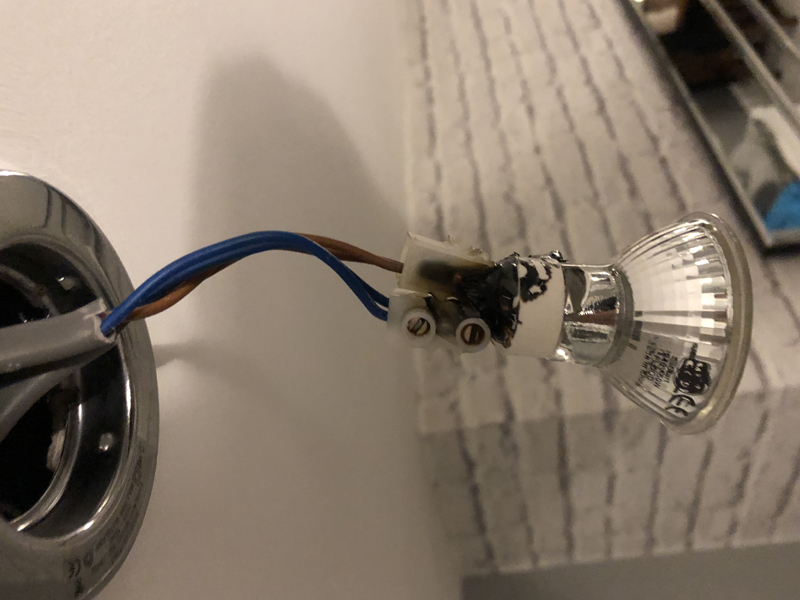 My whole family are in the trade and we have never seen this before, I’m still in shock and would like you to post it to show the rest how a GU10 lamp should not be fitted. CODEBREAKERS: Without the correct GU10 lamp holder fitted, this scenario has the potential for a catastrophic outcome. This equipment may well be handled by a non- electrically competent person, who could have been injured if the circuit wasn’t adequately isolated, at the OCPD. Connector blocks of this type are not an acceptable form of connection/lamp holder for a GU10 lamp, in this instance are a fire hazard evident by the thermal damage, and have access to live parts from the connector terminals. The T&E supplying the lamp is not rated for high temperature terminations and has exposed basic insulation, which is not taken into an enclosure and the CPC is not continuous throughout its length. It should also be noted that all the downlights in this installation should be checked to ensure that they are not in the same state. If this is found to be the case, they should be coded accordingly. If this extra inspection has not been approved by the client, it should be awarded an FI as well as the C1 to ensure all the downlights are checked. TERRY DAY: The quickest way to get to Heaven? I found this whilst working at a church in Brighton and it was live – no shelves available so they were using then next best thing! 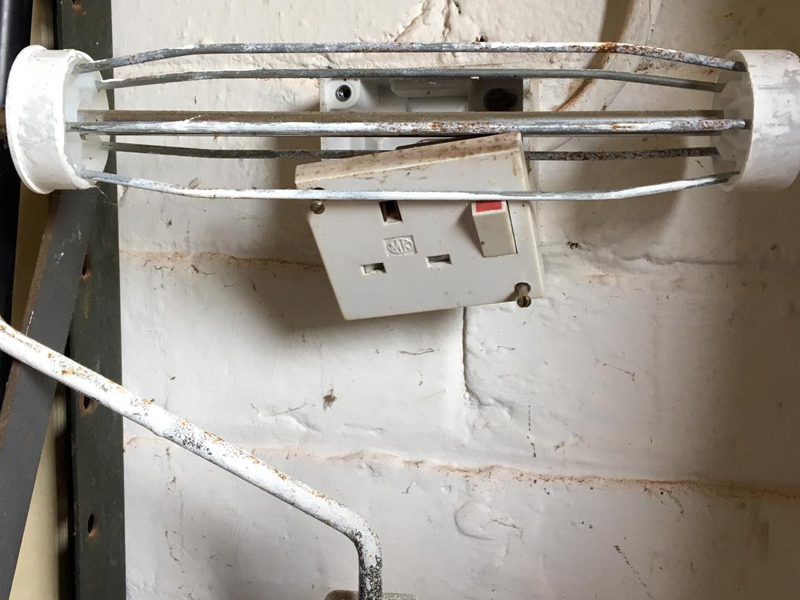 CODEBREAKERS: This is an appalling find; the socket-outlet has been deliberately removed and pulled forward to facilitate dual use as a storage hook for a metal paint roller. The sheer lack of care and understanding is staggering. There is a very high risk of electric shock from contact with the metal section of the roller head, coupled with a distinct risk from plugging in and removing items of equipment from the socket-outlet itself. A combination of weight from the paint roller and the lack of support fixing for the socket outlet will also increase the strain on the terminals, which could become loose and be a potential fire risk or increase the shock risk still further if the terminals release the conductors located in them. To add insult to injury the cable supplying the socket-outlet is not adequately supported/contained and may well contribute to the strain on the terminals, exacerbated by the paint roller hanging from the socket-outlet faceplate.